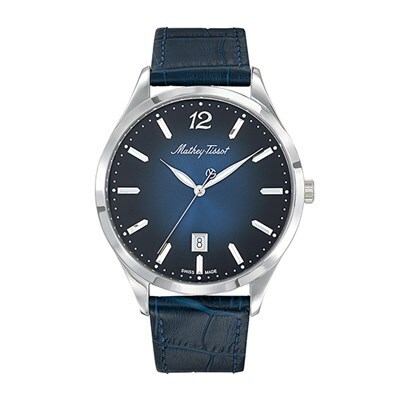 Made for style and function, the stunning Mathey-Tissot Gent's Swiss Made Urban Watch is characterised by a classic stainless steel case framing a contrast colour 3-hand dial and features smart date window detail. 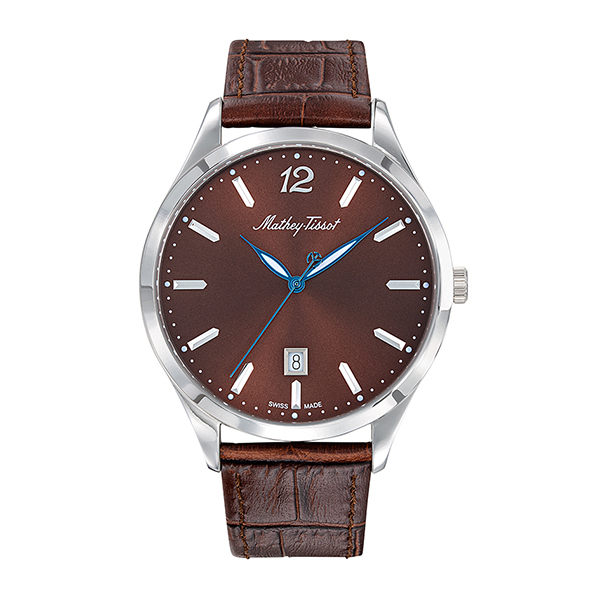 Its design is protected by a scratch-resistant sapphire crystal lens and up to 50m water resistance, making it ideal for casual wear. Near the centre of the Swiss Jura Mountains, at an altitude of 3.300 feet, lies the village of Les Ponts de Martel, nestled in one of Switzerland’s most beautiful valleys. Here, in the year 1886, the Mathey-Tissot Watch Company was founded. 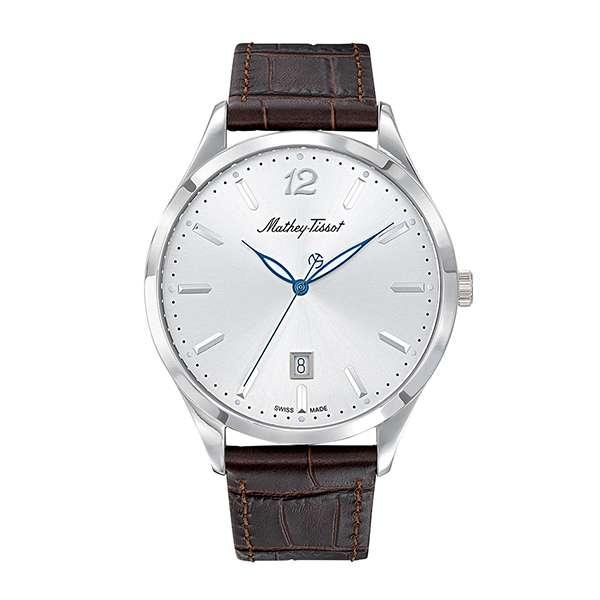 Mathey-Tissot initially specialised in "repeteater" watches, timepieces that chime the hour and half-hour. Soon afterwards, the company undertook the production of chronographs (stop-watches), crafted with such ingenuity and precision that they were immediately successful. In fact, numerous prizes and awards for superlative quality were collected throughout Europe. In the Kew Observatory Competition of 1914, Mathey-Tissot was represented by six chronographs, each with split-second timing. All not only passed the Class A rating with mention of "especially good", but one had a record never previously attained. Later that same year Mathey-Tissot followed this accomplishment with the award of the Grand Prix at Berne's Swiss National Exhibition. 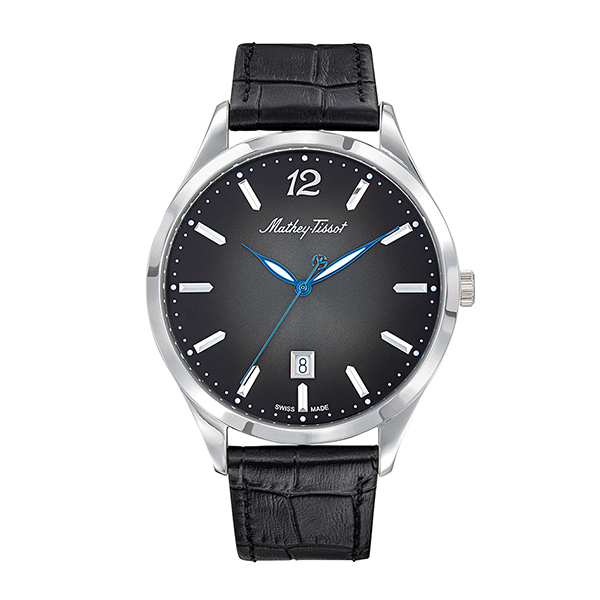 As the years passed, a striking array of other honours was earned by the famed craftsmen of Mathey-Tissot. During World War I, Mathey-Tissot was called on to supply the United States Army Corps of Engineers with large quantities of precision chronographs, and Gen. John J. Pershing, Commander of the United States Expeditionary Forces, selected Mathey-Tissot as the watch to award to members of his staff. In addition to its regular business of producing fine watches for jewellers throughout the world, Mathey-Tissot before and during World War II turned out thousands of timepieces for the United States armed forces and the British Navy. The Mathey-Tissot story has really just begun. Never content to " sit on its laurels", the company has big plans for the future - "big" in the sense that new, innovative watches and ideas will continue to position Mathey-Tissot in the forefront of super quality Swiss watch companies but "small" enough never to forget that relations with its customers is paramount.